Fleet management solutions for your unique business challenges. Automotive software solutions for different types of businesses. Development of custom built software solutions and high tech hardware solutions. Bransys Solutions For Your Needs. Everything we do, we believe in optimizing the most important business challenges – time and money! We are optimizing time and money by improving efficiency and productivity of all our clients by innovating custom software solutions and integrating complete system solutions. The biggest businesses challenges, are solved with the unique software and hardware solution, innovated and designed by Bransys Group, customizable for each client to reduce costs, and increase productivity, for different types of businesses, like transportation, distribution, mining, construction, waste management, taxi, vehicle road-worthiness test stations etc. Despite our significant growth, we remain focused on innovation in the name of our clients’ success. 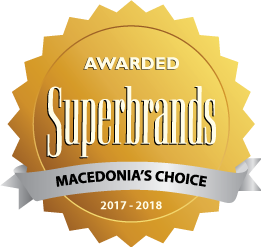 This year we are proud members of the Superbrands family! The annual Superbrands listing of the MK’s strongest brands judges our performance in business and consumer markets as highly advanced and creative. Bransys Group is achieving Superbrand status in both businesses and consumer markets and this sends a powerful message. Customers who use our devices, web services and smartphone applications can grow into even stronger brand and credible innovator partner by their side in the field of IoT and Telematics. 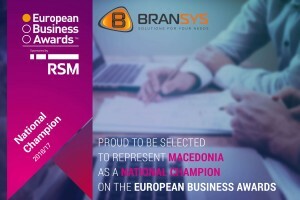 As a National Champion for Macedonia in The European Business Awards, Bransys calls for votes to become the ‘National Public Champion’ for Macedonia in this year’s European Business Awards, Europe’s largest business competition . The Awards, now in its 10th year, engaged with over 33,000 businesses from 34 countries. Adrian Tripp, CEO of the European Business Awards said: “Congratulations to Bransys who have been selected to represent their country as National Champions. They are central to the success of Europe’s strong business community, and have shown the core principles we look for of innovation, ethics and success”. On 4th October 2016, Claxi was awarded with the prestigious MERIT MOBILE EXCELLENCE AWARD in this years’ Global ICT Excellence Awards at the Gala Ceremony of the World Congress on IT – WCIT 2016 in Brasilia, Brazil. Every two years, the WITSA Global ICT Excellence Awards recognize select organizations whose use of IT has exhibited exceptional achievement. This year among other IT companies from different countries around the world, Bransys was noted as a Merit Award Winner with its exceptional project – Claxi. Claxi was first selected as a winner of the MASIT ICT Awards 2016, after what, MASIT as one of the 82 members of the World Information Technology and services Alliance (WITSA) nominated Claxi for the Global ICT Awards. WITSA Chairman Santiago Gutierrez was impressed by the candidates from around the world for the 2016 WITSA Global ICT Excellence Awards and congratulated Bransys for the Merit award for Claxi. The Awards program aims at identifying the most outstanding users of information and communications technology. Held every two years, the WCIT is covered by hundreds of local and international media representatives as well as approximately 2,500 high ranking delegates from around the world. WITSA represents IT industry associations in over 80 countries or economies.